The description of each flower bulb variety includes a U.S.D.A horticultural zone hardiness designation (HZ) to indicate its ability to thrive in your area. This designation was updated in 2012, to account for warming climate trends. If you have one of our catalogs, you may find your horticultural zone on your order form and on your catalog mailing label. 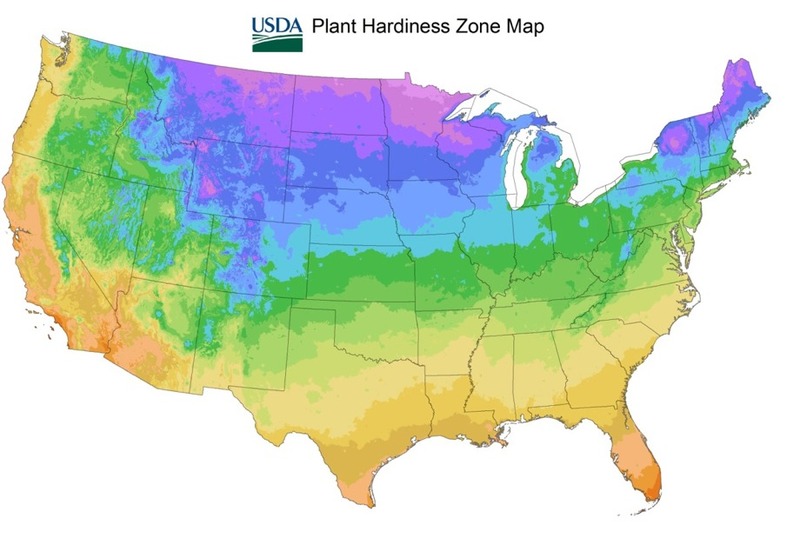 If you do not yet have one of our catalogs, you may use the table below to determine your horticultural zone based on the extreme minimum temperature that your area could experience over the winter. 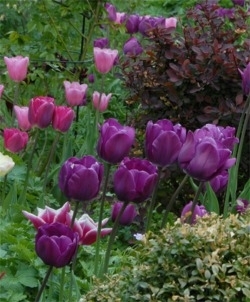 The flower bulbs that you select for your garden should be considered viable for your horticultural zone. Excessive winter frost can tear apart flower bulb root systems (as it does asphalt) through frost heaving or actually freezing and killing the bulb itself. This can happen if bulbs are planted in a non-hardy horticultural zone, planted too shallow or if there are arctic blasts without consistent snow cover. In colder areas on the edge of hardiness, flower bulbs should be planted in an area protected from wind chill and in a spot that may benefit from the warmth of a heated building's foundation. Protect the bulbs from arctic temperature spiking with a 2-inch layer of mulch applied after the surface of the ground freezes. Good mulching mediums include straw, salt marsh hay or oak leaves. The mulching medium must be neutral pH. 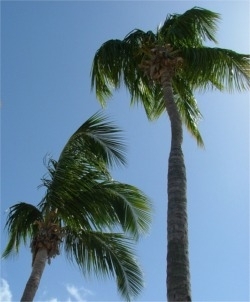 In the spring, the mulch should be broken up and loosened, or removed before the bulbs begin to sprout. In horticultural zone 8 or warmer, it is essential to precool Tulip bulbs prior to planting for thorough and mature root development. In horticultural zone 9 and warmer, we advise precooling all flower bulbs (except Amaryllis, Anemone Giants, Calla aethiopica, Freesias, Paperwhites, Ranunculus and Scilla peruviana). 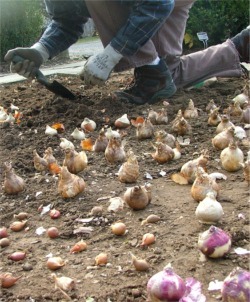 Without mature root development, bulbs generally yield stunted foliage and few, if any, flowers. If you have any specific questions about precooling individual varieties, it is best to consult a local horticultural expert familiar with your microclimate. Flower bulbs have their own natural growing cycle spurred by soil temperature and ambient air temperature and sunlight. Flower bulbs should be precooled in mid-October for ten to twelve weeks at dry, consistent 38°F to 45°F, in the dark. To be precise, a dark 40°F is ideal. Unfortunately, we cannot prechill flower bulbs for you: shipments via UPS Ground are in trucks without temperature control: any precooling benefits would be negated in transit. 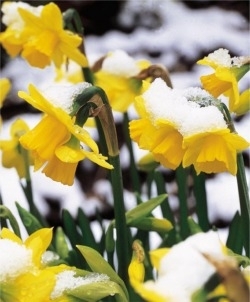 Before precooling flower bulbs, remove and discard any soft bulbs. If any of the bulbs have a gray-green mold on them, commonly known as a 'transportation mold', gently remove the mold with a paper towel, or let them air out in the sun for an afternoon. This gray-green mold is a natural phenomenon that occurs when some types of bulbs are out of the soil and exposed to oxygen for a prolonged period. This mold is naturally wicked away by the soil and lack of oxygen when the bulbs are planted. Generally, it is a good idea to clean the bulbs off before precooling. If flower bulbs are sharing space in a refrigerator with food, remove apples and pears that emit ethylene gas as they ripen. Ethylene can damage bud development in dormant bulbs or cause the bulbs to decay. Never put flower bulbs in the freezer! Prepare the garden bed for planting. Remove the prechilled bulbs from refrigeration and plant immediately so the bulbs do not lose their precooled qualities. To encourage flowers to last longer in heat and strong sunlight, consider planting them in filtered sunlight. Prechilled bulbs should never be planted in exterior containers or raised beds, and should always be planted at least the specified depth, if not 2" deeper to protect them from temperature spiking. If you are planting flower bulbs in an extremely warm climate, some varieties may have to be treated as annuals, like Tulips. If you intend to prechill your bulbs, please make sure to let us know when you order so we may schedule your order for shipment at the appropriate time. There is a little box to check for prechilling on our print order form and in our online checkout process. Questions About Your Horticultural Zone? If you have any questions about your horticultural zone due to elevation, proximity to water or special microclimate conditions, it is best to consult a good local garden center or horticultural expert. You may consult your Cooperative Extension Service which can be found at the U.S. Department of Agriculture's National Institute of Food and Agriculture website: Local Extension Offices. The Cooperative Extension System is a nationwide, non-credit educational network. 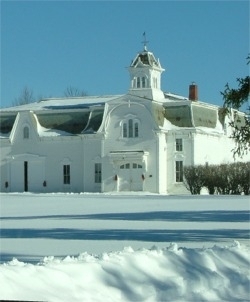 Each U.S. state and territory has a state office at its land-grant university and a network of local or regional offices. These offices are staffed by one or more experts who provide useful, practical, and research-based information to agricultural producers, small business owners, youth, consumers, and others in rural areas and communities of all sizes. NIFA is the federal partner in the Cooperative Extension System. It provides federal funding to the system and, through program leadership, helps the system identify and address current issues and problems." You may also contact your regional Master Gardener office (find the one closest to you at www.extension.org/mastergardener). The Master Gardener Program is a national volunteer program started in 1973. It helps educate the public about many facets of gardening and horticulture including soil health, sustainable gardening, entomology, cultural growing requirements and plant pathology. Master Gardeners provide invaluable community gardening support through their volunteer efforts.